Dr. Gazzaley was born and raised in New York City. He was interested in science since childhood and was always convinced that it was his career path. However, he did not discover his passion for the brain until later in his undergraduate years. He went on to receive his M.D. and Ph.D degree in Neuroscience through the NIH-sponsored Medical Scientist Training Program at the Mount Sinai School of Medicine in New York. His doctoral research, under the mentorship of Dr. John Morrison, focused on plasticity of glutamate receptors in the hippocampus and implications for cognitive changes in normal aging. This research earned him the prestigious 1997 Krieg Cortical Scholar Award. He then completed an internship in internal medicine and residency in neurology at the University of Pennsylvania. Following residency, Dr. Gazzaley traveled to UC Berkeley for a research fellowship with Dr. Mark D’Esposito and Dr. Robert Knight. The research involved studying memory and attention in humans and the changes that occur with normal aging using functional MRI and EEG. During that time period he also completed a clinical fellowship in cognitive neurology at the Memory and Aging Center under the direction of Dr. Bruce Miller and became board-certified in neurology. Dr. Adam Gazzaley obtained an M.D. and a Ph.D. in Neuroscience at the Mount Sinai School of Medicine in New York, completed clinical residency in Neurology at the University of Pennsylvania, and postdoctoral training in cognitive neuroscience at UC Berkeley. He is the founding director of the Neuroscience Imaging Center at the UC San Francisco, an Associate Professor in Neurology, Physiology and Psychiatry, and Principal Investigator of a cognitive neuroscience laboratory. His laboratory studies neural mechanisms of perception, attention and memory, with an emphasis on the impact of distraction and multitasking on these abilities. His unique research approach utilizes a powerful combination of human neurophysiological tools, including functional magnetic resonance imaging (fMRI), electroencephalography (EEG) and transcranial stimulation (TES). A major accomplishment of his research has been to expand our understanding of alterations in the aging brain that lead to cognitive decline. His most recent studies explore how we may enhance our cognitive abilities via engagement with custom designed video games, neurofeedback and TES. 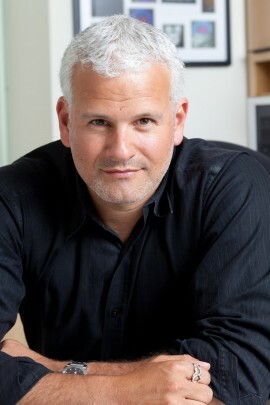 Dr. Gazzaley has authored over 80 scientific articles, delivered over 300 invited presentations around the world, and his research and perspectives have been consistently profiled in high-impact media, such as The New York Times, New Yorker, Wall Street Journal, TIME, Discover, Wired, PBS, NPR, CNN and NBC Nightly News. Recently, he wrote and hosted the nationally televised, PBS-sponsored special “The Distracted Mind with Dr. Adam Gazzaley”. Awards and honors for his research include the Pfizer/AFAR Innovations in Aging Award, the Ellison Foundation New Scholar Award in Aging, and the Harold Brenner Pepinsky Early Career Award in Neurobehavioral Science.